We offer a range of foot switches from leading brands such as Altech, Bernstein AG, Herga, Marquardt, RS PRO, Schneider Electric and Steute. What types of foot switches are available? Foot switches, also known as foot pedals, are used in applications where hands-free control is more practical or safer. Theyre often fitted on large industrial machinery or on a production line that starts and stops processes, as well as dentist chairs and tattoo machines. Maintained/Latching - this type of foot switch is activated when pressure is applied and remains in the contact position until its pressed again. 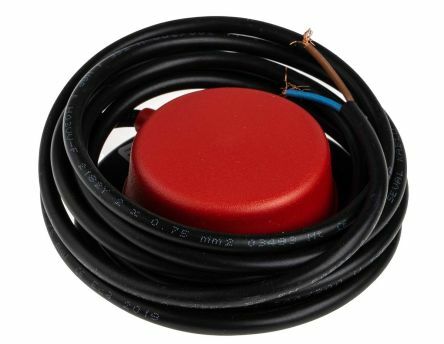 Momentary – this type of foot switch requires continuous contact to operate and resets once pressure is removed. The majority come with guard covers and have varying cable lengths, colours and contact configurations to suit your needs. Foot switch actuators – these actuators move compressed air down the air tubing, which expands a bellows in the switch to operate the electrical contacts. This creates a sealed unit which is very suitable for wet environments or where arcing could occur e.g. garages, laboratories, hazardous gas areas. Foot switch bellows – a selection of foot switches from our high quality own brand RS PRO. 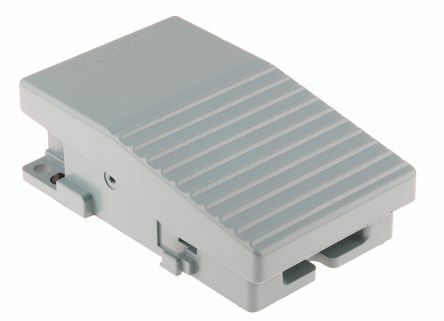 Foot switch contact block – for use with a 1 step or 2 step foot switch from leading brand Schneider Electric. 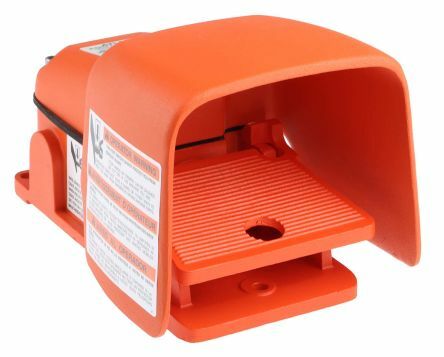 Foot switch guard covers – available in a variety of sizes, supplied by RS PRO and Schneider Electric. 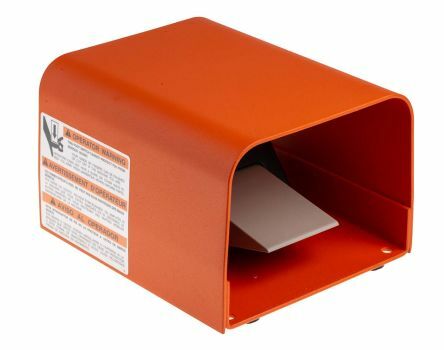 Contact rating 10A 250Vac DPDT snap actionOrange cast alumimium construction "O" shield accepts oversized safety shoesRated to IP68Single PG16 threaded conduit entry 3 fixing holes for floor or equipment mounting. Contact rating 16A 125-250VacCast aluminium body and treadleBase plate with non-skid feet, 4 bolt holesImmersion proof IP68Single M20 entry.